I remember hearing that you could add, edit and arrange fields for storing user data in Drupal 7, but initially couldn’t figure out just where to do this. This pretty much does what the Profile module had done in previous versions. 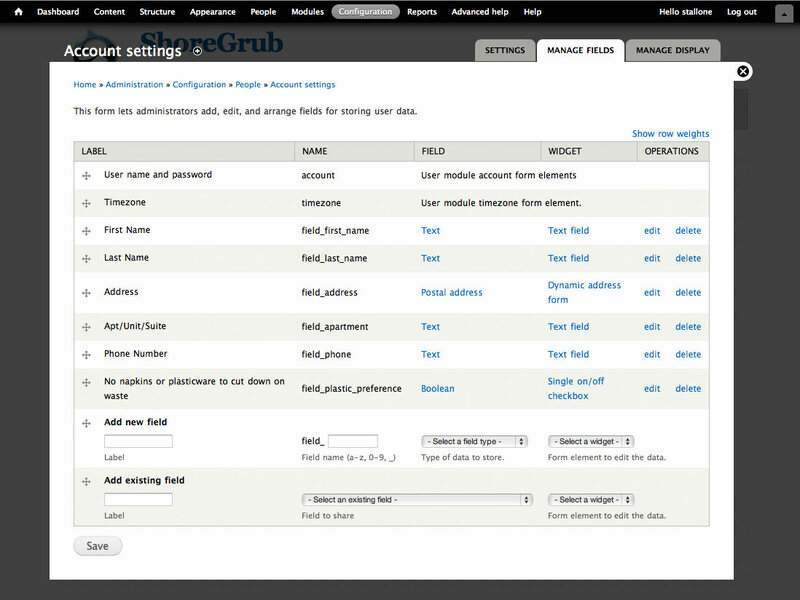 Then click on the Manage Fields tab, and then just manage the fields just like you would for a Content Type. It’s so simple. If you feel that you need more features than what’s provided in core, the Profile 2 module seems like something worth checking out.